Americans understood that Petrol is equally valuable as Gold so they made Agreement with all the Middle East countries to sell petrol in Dollars only. That is why Americans print their Dollar as legal tender for debts. This mean if you don’t like their American Dollar and go to their Governor and ask for repayment in form of Gold,as in India they won’t give you Gold. But Indians won’t have dollars. They have Indian Rupees. So what to do now? So That Indian Minister will ask America to give Dollars. 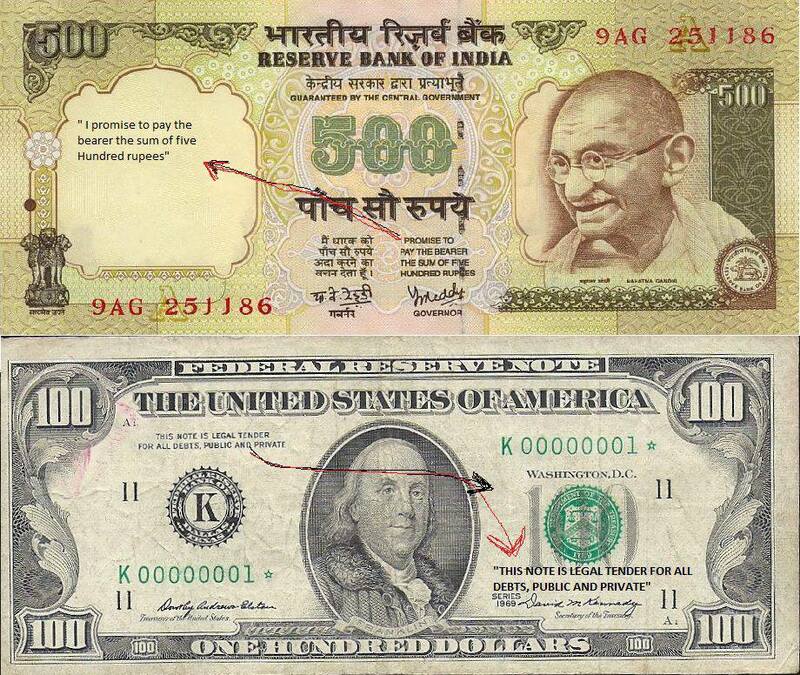 American Federal Reserve will take a white paper , print Dollars on it and give it to the Indian Minister. Like this we get dollars , pay it to petrol bunks and buy petrol. So, Americans don’t need any Gold with them to print Dollars. They will print Dollars on white papers as they like. Buy only products manufactured by WHOLLY INDIAN COMPANIES.Each individual should become a leader for this awareness. This is the only way to save our country from severe economic crisis. You don’t need to give-up your lifestyle. You just need to choose an alternate product. russia, s.korea, mexico – the list is very long!! let us learn from their experience and from our history. let us do the duty of every true indian. finally, it’s obvious that you can’t give up all of the items mentioned above. so give up at least one item for the sake of our country! ← Who is on Moon. Alien or !!! !